I was on a plus 33 at Koln for my morning move, before heading to Aachen and via Liege to Luxembourg, yet the good old DB efficiency still managed to, in theory, just miss it! 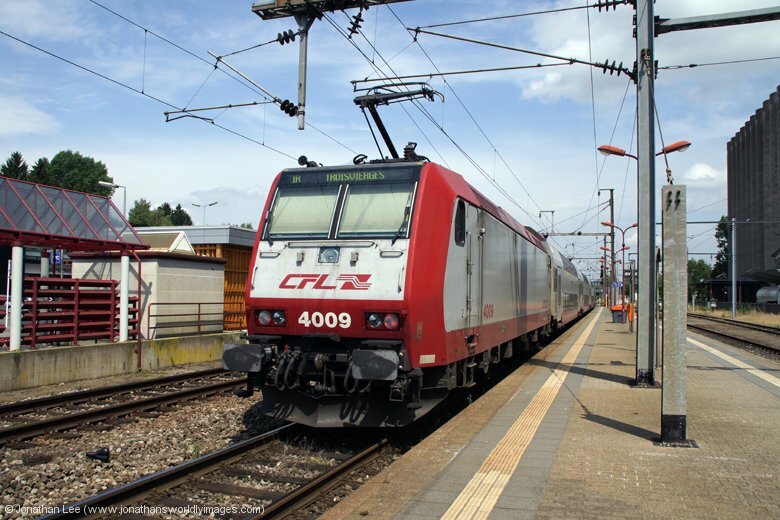 The stock for my CNL train is shunted from CNL478 Zurich – Beograd to CNL418 Munich – Amsterdam at Mannheim so maybe it was CNL418 that had caused the delay? 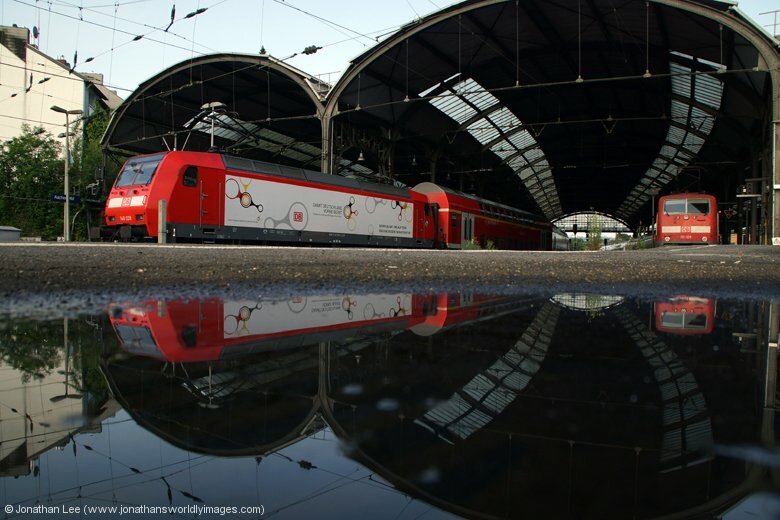 Either way the train I was going for, 10102 0415 Hamm – Aachen, was showing 30 late on the screens and I was then left wondering whether the amount of folk about on this particular Sunday morning had anything to do with the delay? It seemed that there’d been a concert in Koln and there were revelers everywhere, coming down from the high whatever concert they’d been to had given them. Perhaps the set to form the 0415 from Hamm had been out all night working extra trains to get folk home; hence the delay? Move down the pan a little, at least I had time for breakfast before heading out to Aachen. While departing with 146020 on 10102, eventually 45 late, I noticed a 143 arrive with an RE service; something I wasn’t even aware of working in Koln, just one of the downfalls of not knowing what works where in these countries. I was sure I could have done a fill-in move on them had I actually known what they did. 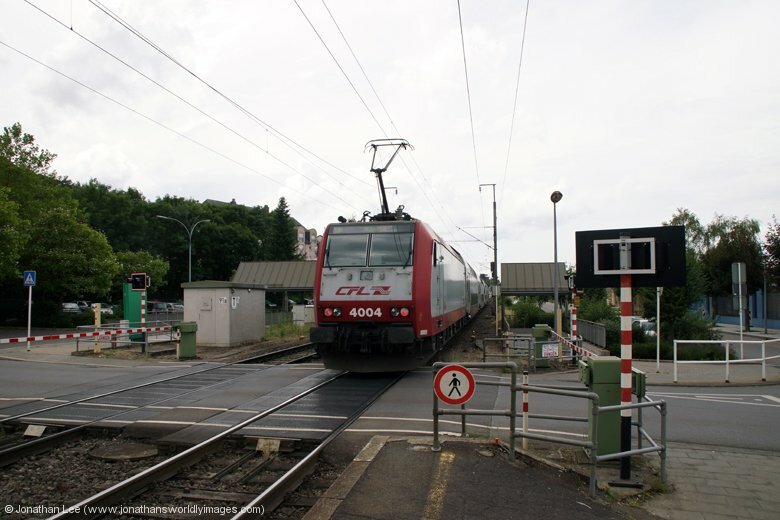 Still I chose to get off 146020 at Stolberg for the train behind; now only 15 minutes behind and not an hour. 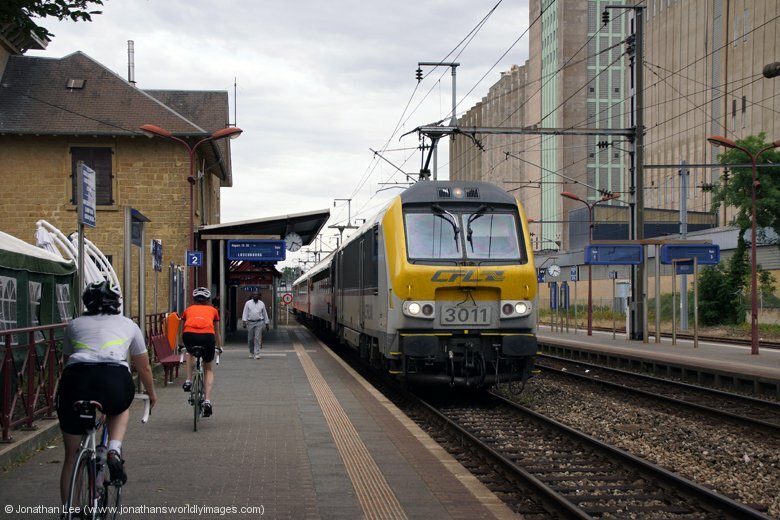 I had made sure that the 0515 from Hamm was on time before even contemplating getting off mind and sure enough 146028 rolled in right time and delivered me to its destination of Aachen right time as well. Strangely the return working of 146028’s booked train was cancelled yet the return working of 146020’s wasn’t and ran approx. 40 late, virtually in the path of that which 146028 would have back towards Koln! 111128 was sat in at Aachen waiting to depart with 10413 0813 Aachen – Dortmund as I arrived and that was all I saw until my ICE arrived to take me through into Belgium and Liege. It was my first ever run on an ICE and I have to say this particular set was very nice inside. 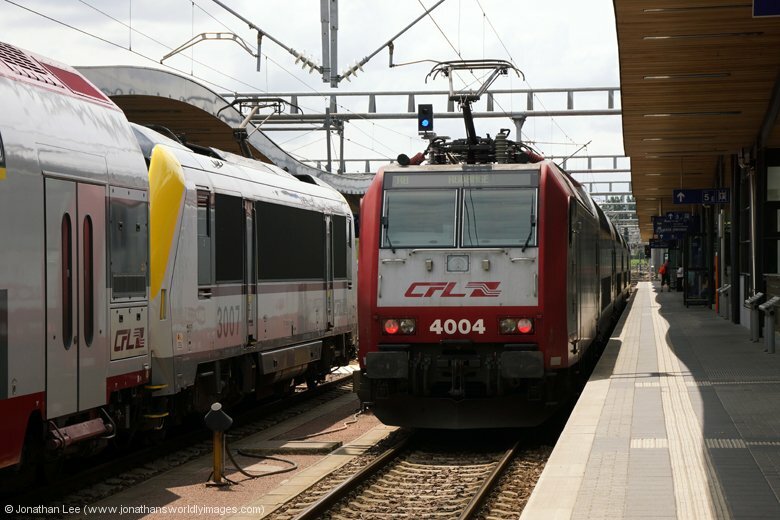 I’d been warned about the reliability of the Germany – Belgium ICE services but this particular service, ICE18 0625 Frankfurt – Brussels, was spot on time with no issues at all and I was left with plenty of time to relax at Liege and watch trains, before my days bash really began as I headed to Luxembourg. 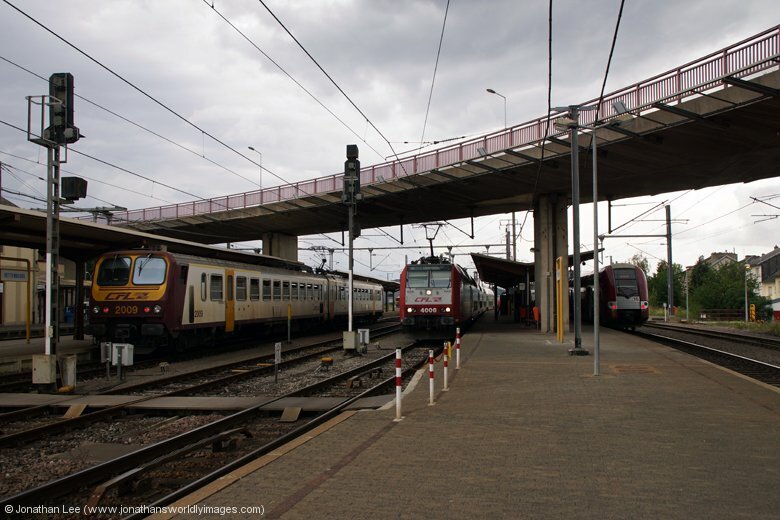 In the 34 minutes I was at Liege I spotted a few SNCB trains; 1875 departed with IC731 0852 Liege – Knokke, 1811/1867 T&T’d IC531 0815 Eupen – Ostende & 1826/1870 T&T’d IC506 0644 Ostende – Eupen. 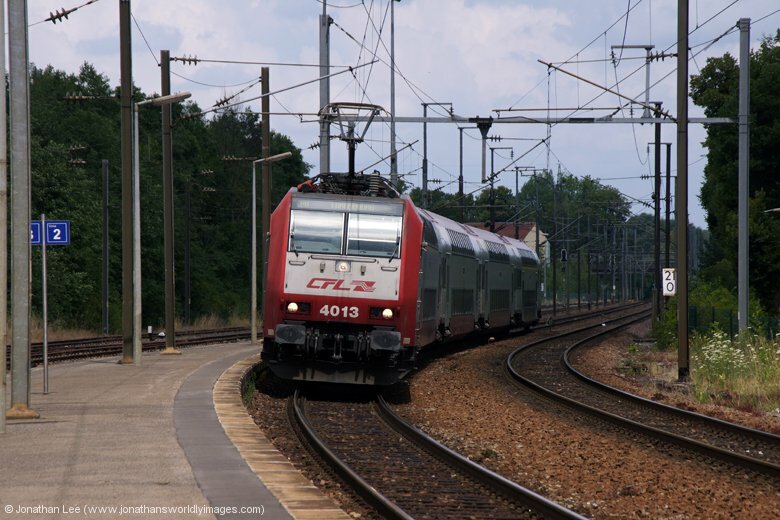 My train to Luxembourg, IR113 0853 Liers – Luxembourg, was worked through to destination by CFL 3019. 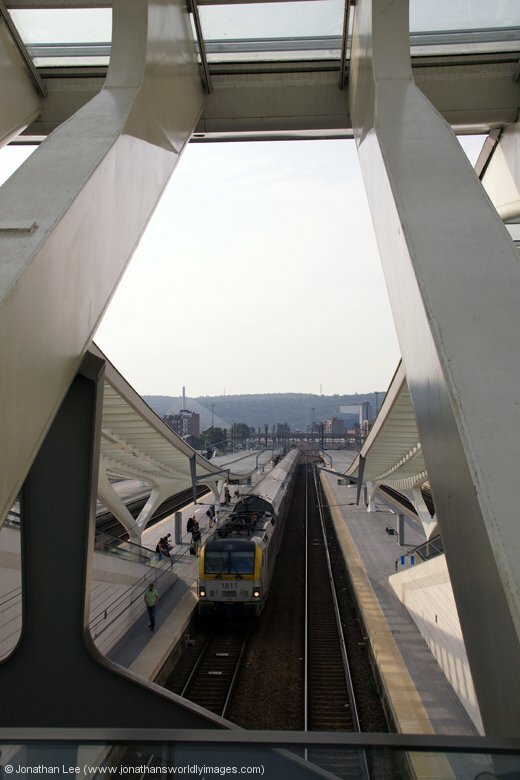 The train was empty until it got into Luxembourg itself and even then wasn’t that well loaded at all. The run was relaxing and as I’d never been to Luxembourg before I wasn’t prepared for the stunning view that is presented on the right hand side as you arrive into Luxembourg’s main station; everything the city has to offer seems to be just thrust at you all in one go and no sooner have you processed what you’re seeing in your mind is it all taken away from you again as you enter the tunnel into the station! 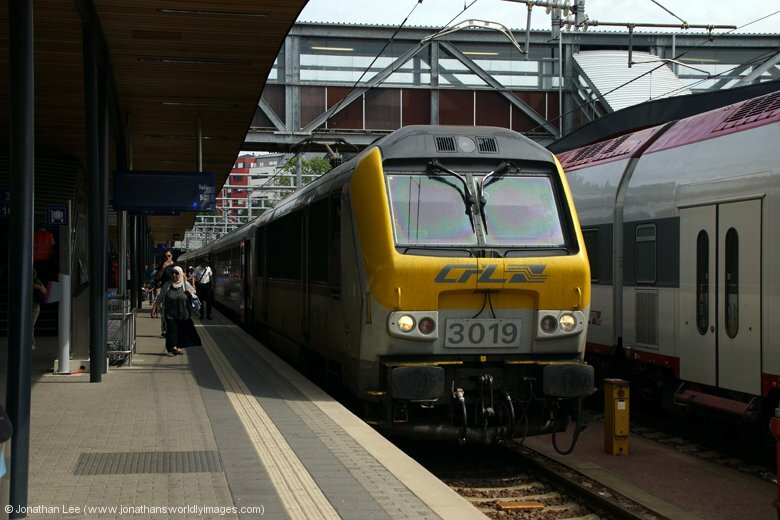 In the half an hour I had spare upon arrival into Luxembourg I managed to figure out the platforming system with trains arriving and departing at the correct end of the station, relevant to the direction they travel in. 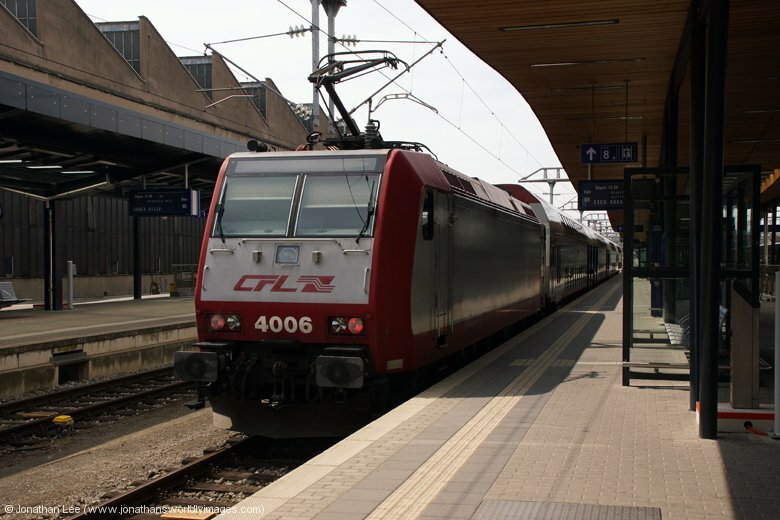 Once that was sussed it was easy to figure out that you need to be at the front of any train arriving into Luxembourg to make a tight connection and it’s just a skip down the steps at the centre of the station and back up the relevant steps to the platform you require for the next move. Mine being a dodgy plus 2 at Mersch but as timekeeping seems to be on the ball in Luxembourg I wasn’t concerned as the doors of 3712 1215 Luxembourg – Troisvierges were closed as the second hand on the clock hit 1215 precisely and CFL’s 4009 dropped me t Mersch with enough time to photograph it departing and turn round to photograph 3007 arriving with 3737 1144 Troisvierges – Luxembourg before running underneath to do it back in. 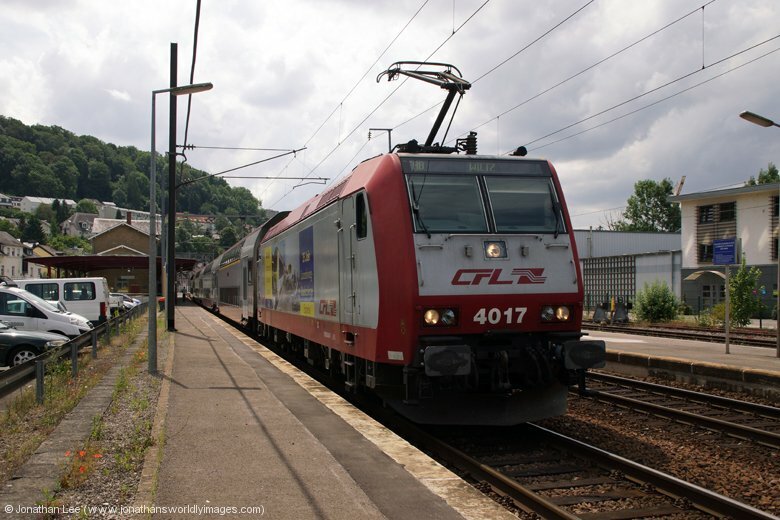 I’d studied the CFL timetables and diagrams quite comprehensively before planning my moves as I only had from 1144 to 1620 in Luxembourg and I’d chosen Sunday for my smash & grab visit as I would also be visiting Holland and Sunday’s were shocking for loco-hauled train there; with Luxembourg not having much less than it did any other day of the week really and certainly enough to keep me occupied for 4 hours! The bash plan was optimized to get the most out of the short period loco-wise and not track-wise and it went exactly as I’d planned with no hiccups at all and every booked hauled turn I saw was hauled. Quite pleased with the afternoon’s bash I boarded EC97 1309 Brussels – Basel ready for a rest in the AC; it was a hot day and not the best for carrying a big bag around on the bash. 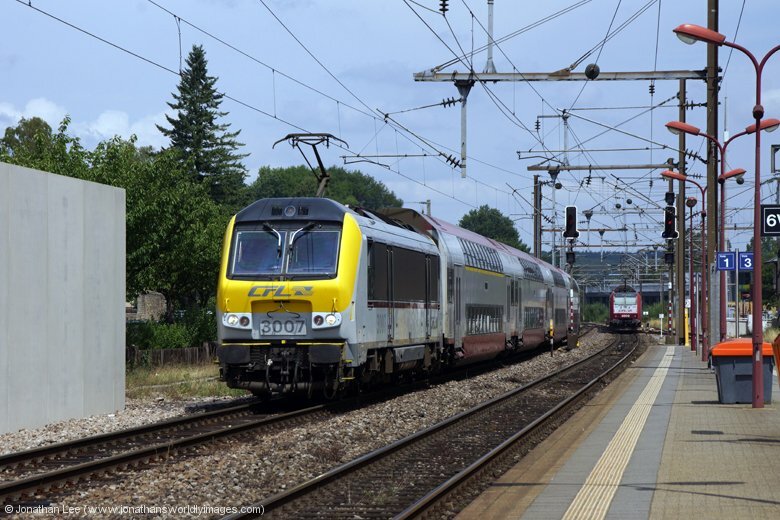 SNCB’s 1347 was duly removed on arrival and replaced by SNCF’s 26158 at the opposite end of the train once an SBB coach had been added by a shunt loco just before departure; all of course in CFL land! Bizarrely my biggest surprise of the day came once I’d boarded EC97 and realised that the bottle of Coke I’d just bought had the name “Gonda” on it, which if you know your Indian loco sheds means a lot more than it would to most; I didn’t even realise that Gonda was someone’s actual name and had never been withered as much by a bottle of Coke before! The 3 ½ hours of relaxation to Basel was welcome and after stocking up rice and chicken curry from the Migros on the station concourse, dinner was served on board IR1991 2013 Basel – Zurich which was headed by Re 4/4 11194, as per diagram having worked my CNL478 to Basel the previous night. 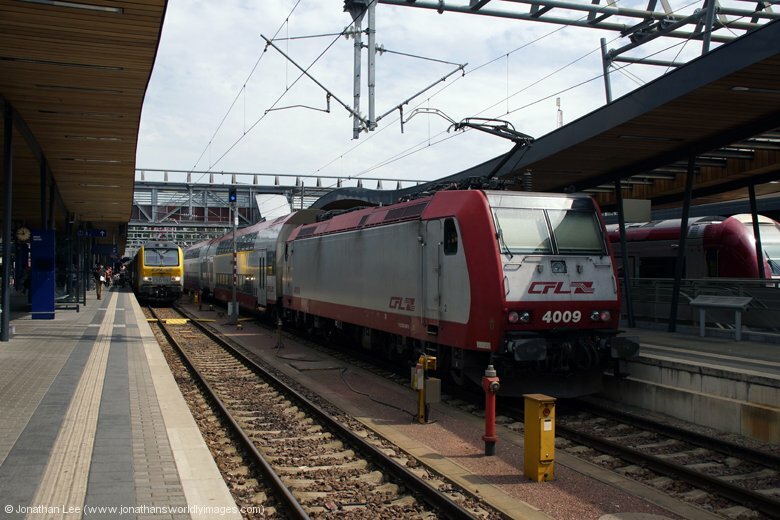 It was only a quick fill-in move t Reinfelden to pass the time before I again joined CNL478; this time at Basel and this time to run through to Arnhem in Holland and this time in a three berth sleeper compartment for the more comfortable journey as it was a longer distance. 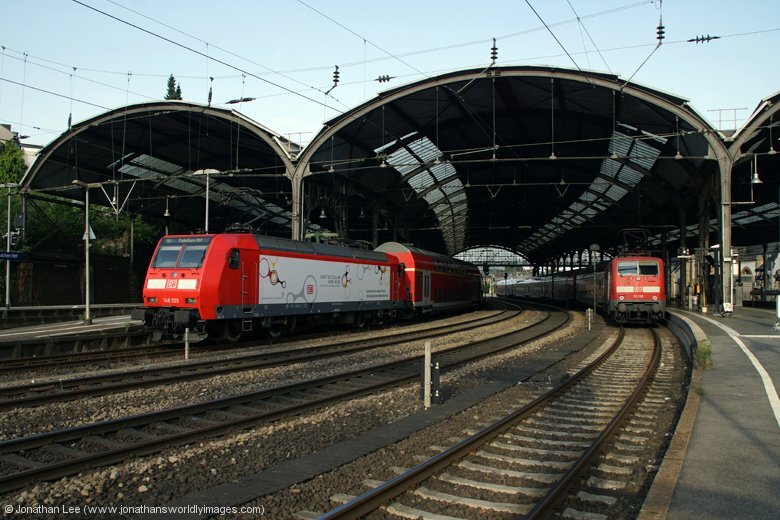 Unlike the night before all the couchette and sleeper coaches for the Amsterdam portion of the train were added by the train loco, DB 101129, at Basel before departure. Whether there’d been an issue going to Zurich in the morning or there’d just been no reservations from Zurich I don’t know. My compartment only ended up with me and a German guy, who was travelling home to Bonn, so the middle berth was empty. Ticketing formalities were a little more prompt than the previous night and once I’d chewed the cud with the German about his countries recent World Cup victory it was time for bed; and I was ready for it again!